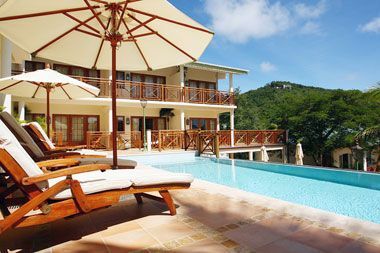 The newly constructed Bequia Beach Hotel at Friendship Bay, Bequia, has announced that it will be closing its doors on May 31, 2011. A release from the resort, dated February 15 explained that the bone of contention stems from the cancellation of a surveyorâs plan, which was approved on June 14, 2006. In the autumn of 2008, the release said, Chief Surveyor Adolphus Ollivierre âabuptly cancelled his own approved planâ. The news release stated that this was done without informing Bengt Mortstedt, the developer of the resort. Mortstedt is of the view that the decision to develop the resort in the first place was based on the terms of the original plan where âall resort land was consolidatedâ and with no other landowners within the resort site. In the news release, it is said that having withdrawn his original plan, the Chief Surveyor now claimed that there were planned roads, serving sites that had been previously acquired, which lay within the resort site, and that, again according to the Chief Surveyor, these planned roads were owned by the Government of St.Vincent and the Grenadines. The release said none of the planned roads had been built. âImmediately after the cancellation, a request was made to re-instate the plan or approve a new plan so that the resort could be completed as orginally proposed. A request was made that the newly identified Government strips of land within the resort should be conveyed over to the resort company, in return for investments of over EC$2M already made for public roads, drains and a new public beach access in the area surrounding the resortâ, the news release outlined. It is reported that Mortstedt was greatly shocked and dismayed when he learned that the approval of the plan had been withdrawn. âBy this point the project was nearing its closing stages of heavy construction and an investment of nearly EC$40 million had already been made by him in good faithâ, the news release explained. The news release stated, if oversights may have occurred in the drawing up of the original plan by the Chief Surveyor, it should not mean that Mortstedt should be placed in the uncertain position that he now finds himself in, with regard to the ability to complete the resort. The EC$50 million, the first luxury resort of its kind in Bequai, began development in 2005 and according to the release, by 2010 is said to have made direct contribution to the economy of St.Vincent and the Grenadines in excess of EC$5 million. At present the resort is 90 percent completed, but Mortstedt of Sweden has decided to terminate business in St.Vincent and the Grenadines if a resolution is not reached in the land dispute that he faces. The release said the project was expected to hire over 100 Vincentians. At present there are 58 employees on the project. âI deeply regret that my loyal staff are facing the prospect of losing their jobs at the end of May if a final resolution agreeable to all parties cannot be found. Being the private owner I only wish to complete the construction of the resort as soon as possible and to see my vision come true,â said Mortstedt in a press release dated Tuesday, February 15. He mentioned that if a resolution is found, he will go ahead in full scale with his planned international marketing campaign, which is presently on hold. âTo date there has been no significant progress in resolving the issues despite countless meetings and letters during the two and a half years that have passed since the SVG Chief Surveyor cancelled the resortâs survey plan. When SEARCHLIGHT contacted the Chief Surveyorâs office on Wednesday, we were told he is on vacation. Invest SVG, with whom Mortstedt said he had enjoyed a âwarm and fruitful relationshipâ, on Wednesday said they were not yet in a position to comment on the issue.